You’re making a list. Checking it twice. Can’t decide what golf gifts to buy for the guy that’s been nice? Let our elves help you out. Golfers can be hard to shop for. Especially when you have to take more than clothing size into consideration. These 3 golf gifts are great for the guy on your holiday shopping list. The PING G400 Max driver is one of the most popular drivers on the market. It blends stunning looks with top-tier technology to make the recipient play better golf. Let’s start with the technology. PING uses “Max” in the name because this driver max’s out forgiveness. 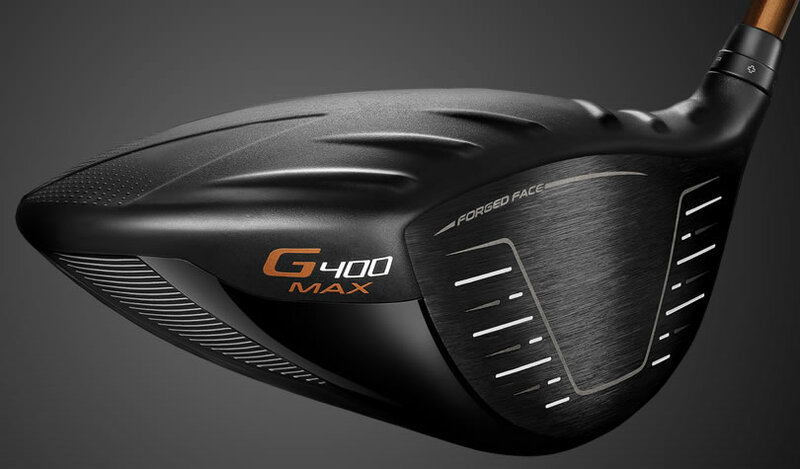 Designers made the 460cc G400 Max the most forgiving PING driver ever. A tungsten weight on the sole and ultra-thin T9S+ forged face combine to optimize the CG location, creating ideal launch conditions for the user. The thin face also increases ball speed on shots hit across the face, adding to the club’s forgiveness. The crown of the G400 Max driver has 2 main features; Dragonfly technology and turbulators. The turbulators are close to the club face and improve airflow and aerodynamics. The result is you’re able to swing the club faster. Dragonfly technology on the back part of the crown helps optimize CG placement. Lookswise, the PING G400 Max has a matte black finish that reduces glare. The turbulators and design pattern on the face combine to help square the club at address, giving the user confidence off the tee. Read about the rest of the features of the PING G400 Max driver in this review. Every guy likes to have a cold beverage when he’s on the course. 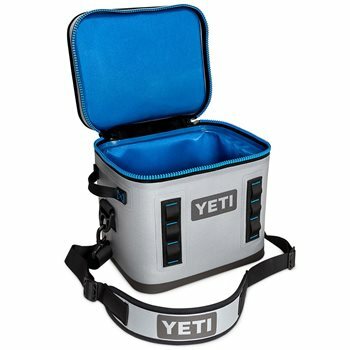 A Yeti Cooler, like this Hopper Flip 12, will keep up to 13 cans of their favorite drink close at hand and cold for hours. The Hopper Flip 12 is a leak-proof soft cooler that is compact and easily portable. The wide-mouth top also makes it easy to load and see/find what’s inside. The Flip 12 is also extremely durable, thanks to the puncture-resistant DryHide shell. For a limited time, get your hands on this Global Golf – Precision Pro Limited Edition package. 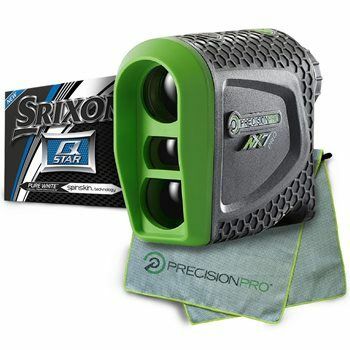 The package comes with a Precision Pro NX7 Pro laser rangefinder, 1 dozen Srixon Q-STAR golf balls, and a microfiber towel. The Precision Pro NX7 Pro rangefinder has built-in slope adjustment that can be turned on and off for tournament use. The NX7 Pro also has Vibration technology that sends a quick pulse when you’ve locked onto the target. It has a 400-yard range and 6x magnification, making it easy to see the target and find the correct yardage. The NX7 Pro’s water-resistant design lets you use it rain or shine. Srixon’s Q-STAR golf balls are perfect for all levels of golfer. The 2-piece ball delivers distance without sacrificing feel around the green thanks to a low-compression core and Spinskin™ cover. The Energetic Gradient Growth (E.G.G.) core is large, creating a softer feel and accuracy on tee and approach shots. The 3rd generation Spinskin™ cover creates more friction on delicate shots around the green, helping get the ball close, especially from the rough. You can read more about the Q-STAR in this review. Finally, the bundle includes a sleek microfiber towel to keep clubs clean and performing their best. 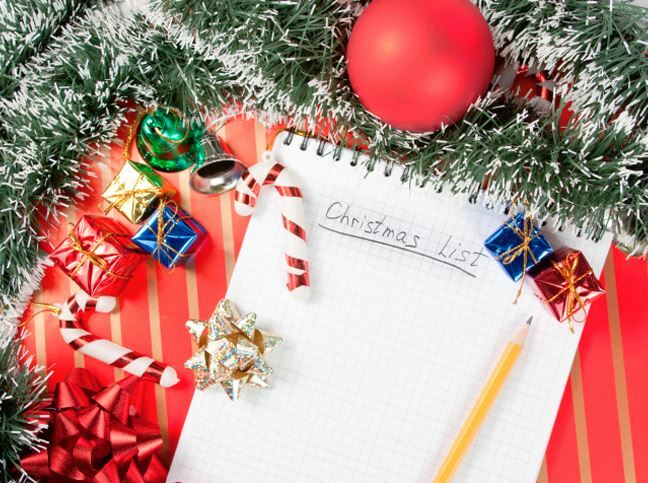 These 3 items will help you on your way to getting great golf gifts for the guy on your list. If you need more ideas, check out this article. 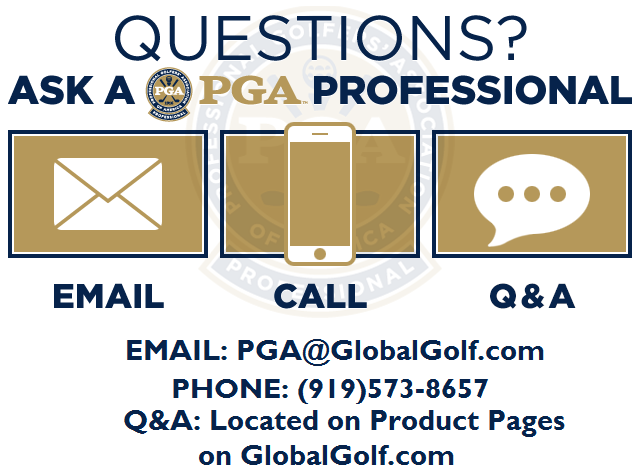 As always, our PGA Professionals are here to help answer any questions too. Their contact information is below. Happy Shopping!